Yesterday, Christine Bush wrote a lovely, heartfelt post about being grateful. She asked what we do to make a difference and my thoughts have lingered on that. Maybe what we can give is little, but it's in those little things, those little everyday moments, that we can make a difference or touch someone's heart. Has the kindness of a stranger ever made a yucky day a lot brighter? Maybe someone held open a door for you or offered a genuine smile. But it is in that little gesture of humanity that we find hope and joy. In my new novella, The Christmas Crusade, the hero takes over as the director of a community center. He is on a quest to gather enough financial support to keep the doors open and provide a Merry Christmas to the three hundred families who count on Center for Hope. Despite the real possibility of running into the woman who broke his heart three years ago, he approaches her employer for support and ends up working with her to generate funds for the center. In doing so, they find their happily ever after, but they also discover hope comes in all shapes and sizes. Here's a list of ten little things you can do that might brighten someone else's day. 1. Smile at a stranger, a friend, or a loved one. You can never share too many smiles. 2. Hug your spouse, your friend , your child. We all need hugs. They hold healing power. Put both arms and your heart into it! 3. Donate that box of clothes you cleaned out of your closet last spring. Take it to a donation center. 4. Pay for the coffee the person in line behind you is about to order. It'll make you both feel good and they might pay if forward. 5. Create a care package for someone who's sick or just needs a pick-me-up. Like hugs, chocolate holds healing powers. 6. Praise someone today. Maybe you post a comment on a blog. Maybe you send an email to the whole company pointing out a coworker's job well done. Maybe you remind your spouse at the dinner table how much you appreciate him. Every human on the planet appreciates praise. 7. Write a hand-written note to someone. Writing letters is a lost art and the person will love receiving it. It doesn't have to be long — just a few lines saying, "I'm thinking of you today." 9. Send flowers to someone for no reason. Wouldn't it make your day to receive a cheerful bouquet out of the blue? 10. Give the gift of time. We're all busy. We're all in a rush, but take an extra five minutes to listen (truly listen) to someone else today. It might be your spouse, your child, or the checker at the grocery store who's having a bad day — but listen with an open heart. And here's a bonus one for all my writer friends... take your old-edition books to senior centers. They love getting them and don't care if you have an updated version out there or not. Convinced everyone deserves a happy ending, hopeless romantic Shanna Hatfield is out to make it happen one story at a time. Her bestselling sweet historical and contemporary romances combine humor and heart-pumping moments with realistic characters. When she isn’t writing or consuming copious amounts of chocolate, Shanna hangs out with her husband, lovingly known as Captain Cavedweller, and fondly recalls the days of her youth spent on an Eastern Oregon farm. 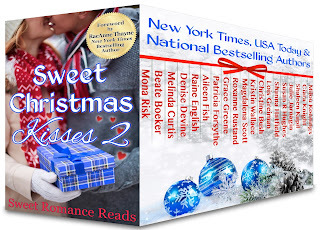 Her newest novella, The Christmas Crusade, is included in Sweet Christmas Kisses 2, an exciting anthology of 19 sweet Christmas novellas by award winning authors. SCK2 will be released on September 29th, and is available for preorder right now! Thanks, Christine! And thanks for your inspiring post! This is so great, Shanna! It is often those little things that make a difference, even if we don't see it. Exactly! Thanks for stopping by, Jess! Thanks for the reminder about the little things we can do. What lovely suggestions. 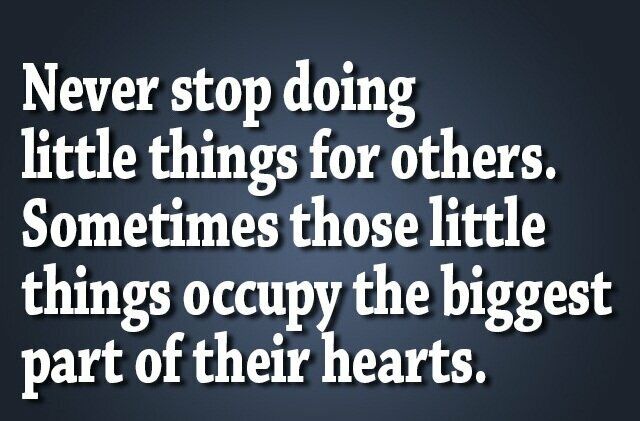 I love how little things all add up to make a big difference in other peoples' lives.